When I joined Discover in 2014, there was a small problem. My colleague, Edgar Flores, had proposed a new design for Discover's email channels and it had been implemented successfully across the marketing email. "Service" email was a completely different, internally-managed platform of individual HTML templates—and the HTML Edgar provided wasn't integrating properly. A week into my role managing content across discover.com, I was asked to see if I could repair the templates. After a day of repairing the code and testing it, I was on a cross-functional team of four that was working frantically to quickly implement the new template across our top 10 most-sent campaigns. Six months and 74% of the millions of service emails Discover sends every month later, I was brought onto the project again to expedite the transition process while also maintaining my responsibility over discover.com. Over the next 5 months, I worked to prioritize the remaining campaigns that had yet to be converted in order of volume sent. After 7 months, I'd achieved 95%, which was virtually all I could cost-effectively achieve on my own. This project had me collaborating with business partners across the organization including portfolio marketing, rewards marketing, customer service & engagement, card member assistance, creative, technology, and legal. It was a lengthy process of proposing designs, rewriting messaging to adhere to current brand voice, and investigating legacy functionality that had been retired but left behind in campaigns. The project was of significant importance to the Senior Vice President, Head of Digital, and I'm proud to have completed it successfully. One of the things I adamantly advocated for was a mobile-first design mentality. Oftentimes, business partners would approach me with updates to a campaign they'd secured on their own, and they'd request designs that were drastically different between narrow and middle plus viewports. I always worked to explain that not only is it not best practice, it's also not supporting by the Google Android platform—meaning about 50% of users would be forced to pinch & zoom on a mobile device. Discover had to carefully balance service-related campaigns with marketing campaigns, because users had a tendency to opt-out of marketing messages if they were receiving a lot of service messages, despite the fact they're completely unrelated. I worked to ensure the user understood why they were receiving the email, and to reinforce they'd signed up to be alerted about certain conditions on their accounts. Finally, I always rank-ordered information in tables so they were clear and easy to understand. Lastly, primary calls to action always supported the message content. The secondary call to action, if used, provided either an alternative action that also supported the message or a way to customize the card member's preferences. 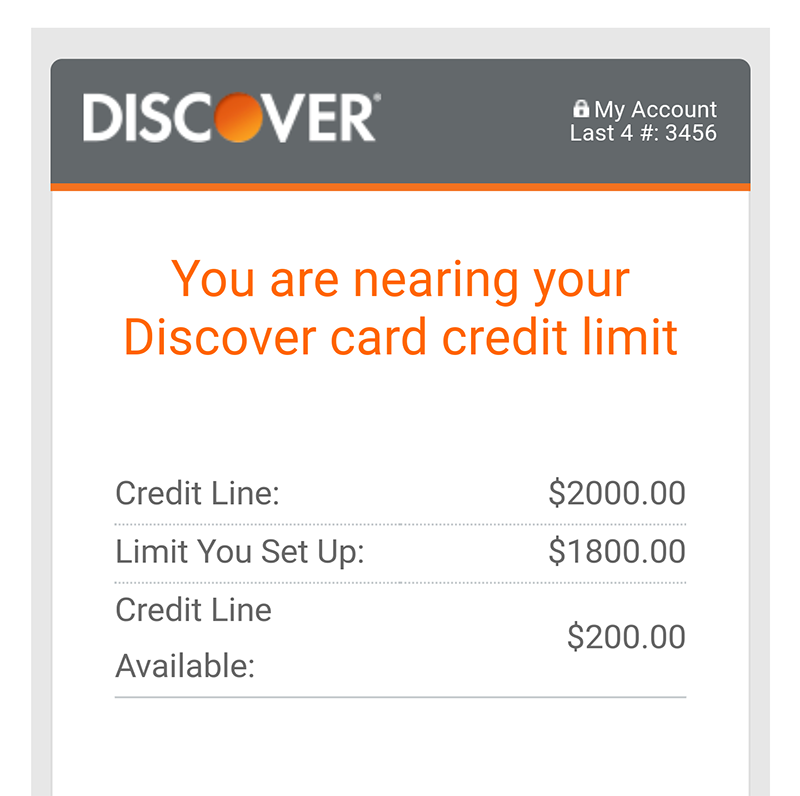 Disclaimer: These emails are the intellectual property of Discover and are publicly available to all Discover card members. They are represented here for the sole purpose of demonstrating the design, technical, and creative abilities of Patrick Puckett. Copyright is maintained by Discover.